It has been over a year since opponents of “unassailable wealth” cried with clutched pearls “think of the children” as the Casinos of EVE were shuttered. While gambling is alive and well among the baseliners of New Eden, we capsuleers are no longer allowed to own or operate our own gambling rings. For better or worse. Now, this wasn’t the first time that a major change came to our cluster, New Eden sees shake-ups of this magnitude all the time, but this was one of those rare times that the cause of the change was not wholly internal to our niche of gaming. While it is true that the “unassailable wealth” of the mighty casinos did create terrible design ramifications, arguably the cause of the change was external to us. In another corner of the internet, players of the CS:GO community were embroiled in an international controversy exposing their in-game items exchange system which had been utilized to create gambling using the in-game assets as a kind of poker chips. The biggest problem with this, and EVE gambling, is that even minors can engage in it, making the game company potentially liable for enabling illegal underaged gambling. Obviously, real life legal implications of this kind are simply not worth the grief and so something had to change. One year later, and ’tis the season for cash grabs and once again issues of gambling in the real world have potential implications for New Eden. 2017 has seen a lot of scrutiny to the mechanic casually called ‘lockboxes’. Lockboxes are a pretty simple design to be honest, like the collectable card games before it, lockboxes provide a small subset of the potential items obtainable, with most providing a guarantee of at least one “decent” item. The point of this is clear and simple: the developers have to create less good rewards to keep players motivated because the chance of getting the reward you are hunting after for any given lockbox is pretty low. There have been several experiments to this basic formula to ensure that the experience remains good for the user. 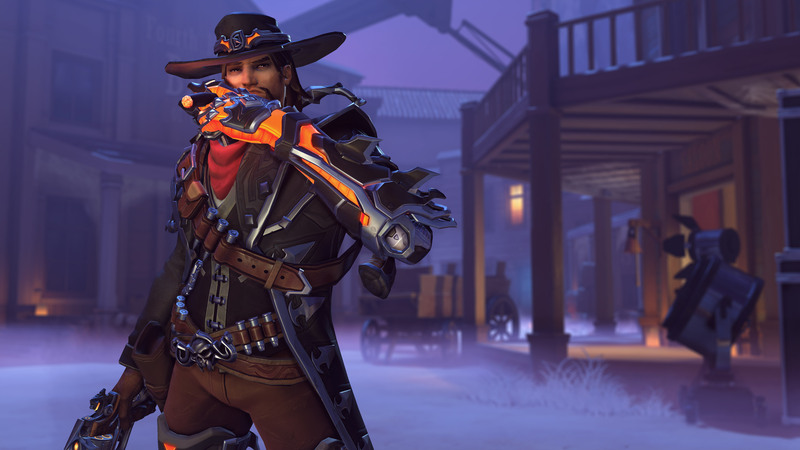 Overwatch and Hearthstone have both changed their random loot mechanic to make the hunt for the most valuable loot less painful and feel more like actual progression. 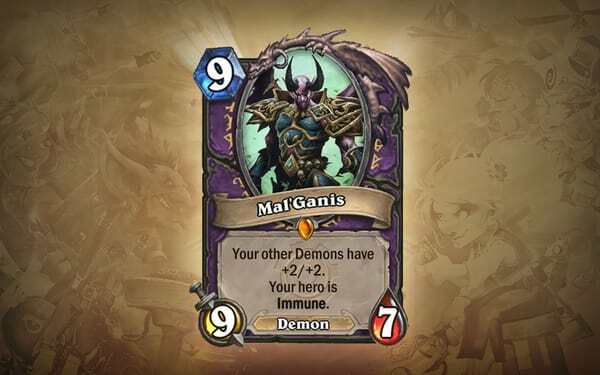 Within Hearthstone they removed the ability to collect the same “Legendary” card twice, meaning each time you obtain one of those cards, the pool of potential cards the next Legendary could be will get smaller, meaning you will eventually whittle down to the one you want, regardless of how lucky you are. In Overwatch, they simply significantly reduced the chances of duplicates and increased the gold reward to compensate. In both of these cases, Blizzard has chosen to undermine their own random loot in order to ensure that users purchases feel good even if they don’t get exactly what they want. In contrast, you have companies like EA, the COMCAST of video game developers. There are many predatory ways of using lockboxes, but they all stem from the desire to incentivize the large expenses of the so-called “whales”, or users willing to spend thousands of dollars on a video game. One big key is the addition of items of power within these lockboxes. Buying power is, of course, the hallmark of the “pay to win” strategy and by combining it with lockbox distribution you have a terrifying combination. While many games, particularly free to play games, do have locked progression, this progress should always have an in-game “relief valve” or relatively straightforward path to progress using in-game effort. When you buy a video game, you don’t necessarily expect all powers and areas to be unlocked as soon as you start it up for the first time, but you do rightfully expect all of the base content to be made available through the play of the game. If that core tenet is violated, you place an unreasonable expectation on the loot system. While most free to play gamers will put up with a certain amount of disturbance to their progression, this idea becomes particularly painful in a fully paid for game. 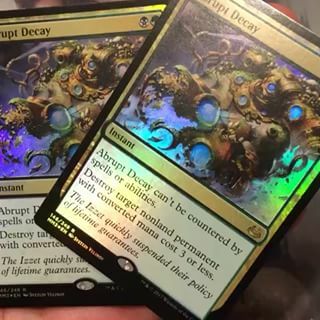 While upsetting core players is bad, it doesn’t compare to the legal jeopardy you find yourself in if the objects within the lockbox have intrinsic value themselves and even more so if they have resale value. For example, in Heroes of the Storm, users can get new skins either through lockboxes, or by direct purchase. This has the potential consequence of codifying value: You could pay 10 bucks to get this one SKIN, or you could buy these lockboxes to try to get them. One could argue that this is gambling, as you put in a small value, in hopes of hitting a “jackpot”. However, the big concern is fear destroying design. If you were to remove the ability to purchase the skin with real life money, you simply obfuscate its value, or leave it up to the user to decide how much is it worth to them for a chance. A good example is in Overwatch where skins can only be obtained by lockboxes or gold which can only be obtained within those same lockboxes. During limited holiday events the best skins often take the gold from many lockboxes to be able to unlock directly, leaving many people to feel obligated to either grind or buy large quantities of these boxes, as they cannot simply drop a fixed amount to ensure what they want. However, none of this becomes truly awful until you also include a secondary trade market. Once users can collect rare items and sell/trade online you now get full blown gambling. Reselling allows users to do much like in the CS:GO controversy, but it also ensures that the lootbox purchase itself is a gamble, as many will buy extra loot boxes for the hopes of getting an item worth more than the purchase itself. But wait a second: this exact practice has been part of our gaming culture for over two decades in the form of Collectable Card Games. CCGs popularized by Magic and sold to the youth through Yugioh and Pokemon are “micro-gambling” in the same sense. You buy a pack with small guarantees for value built in, open it and the value of the cards within may or may be worth more than the pack itself. Customers can often trade in their cards to the store directly for “cash value” which can often only be used to purchase more packs of cards. In this proto-lootbox we can see exactly this issue play out. Naturally rare cards like Black Lotus has given way to “manufactured” valuable cards such as foils, ‘shinies’, etc. While it may be simple for us to throw stones at famously impassioned organizations such as EA, it is worth remembering that these practices have been around for much longer than people seem to let on. Now, it is important that either of these could change at any time and changes to the system will impact how it is perceived, but for now, it is important that the loot boxes in EVE are not the loot boxes seen elsewhere. So why even have them? EVE is a game where the same design pieces seen in other games take on whole new life thanks to the unique environment of New Eden and its player base. While many on the /r/EVE subreddit or EVE-O forums may malign the use of lockboxes in New Eden, they seem to miss the true impact of them. They aren’t gambling, quite the opposite, they are safety. Randomized rewards are nothing new to EVE. Every exploration site ran is a chance for a jackpot, often with some guaranteed cash consolation prize in the form of the Overseers effect. However, EVE is dangerous, and obtaining your prize is only half the puzzle. Often exploration takes place in highly dangerous parts of space, and returning to safety can be just as difficult, if not more so, than the act of liberating your sweet loot. The Agency and other EVE loot boxes undermine this, putting your rewards safely within the redemption UI. These treasures are unassailable and are 100% protected until the user decides which structure they wish for it to be delivered to. In that way, these loot boxes change the nature of EVE, but in a way wholly unlike other game environments. This doesn’t mean that CCP is immune to the temptations that are wracking the rest of the gaming industry and bit by bit they are flirting with the idea, like in the description of the Agency Lockboxes. 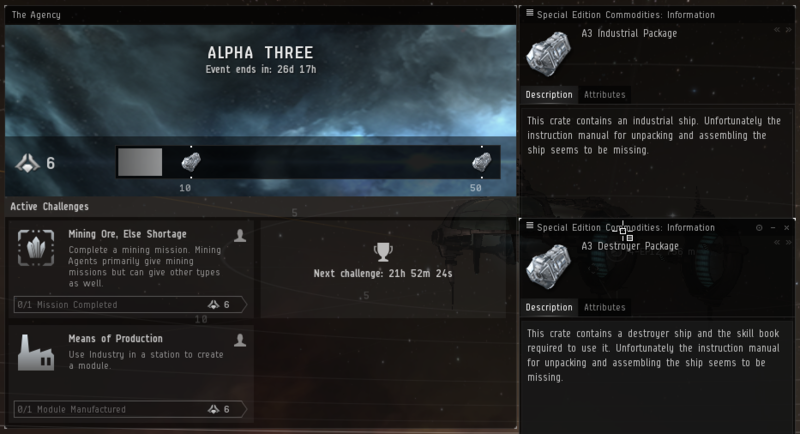 For example, the Alpha Three event changed the description of said lockboxes to include “Unfortunately the instruction manual for unpacking and assembling the ship seems to be missing”. While this seems to suggest the need for a purchasable key to unlock, in the end this wasn’t needed for these lockboxes. However, it is concerning that some groundwork in that direction was to be introduced. The bigger concern comes from another temptation that comes from this kind of loot distribution: Bind on Pickup. This seemingly innocuous mechanic breeds a terrible precedent when exposed to New Eden. One of EVE’s principle selling points is its market system. Unlike other games, the most powerful items in the game can be bought and sold freely between the players. This core fact protects many of the other mechanics of EVE, including the ones arrived at within this article. It is significantly less concerning if SKINs, or even powerful items are obtainable through these methods, as long as a secondary market can exist to compensate. It is the EVE way, as it were. That said, with the introduction of Resource Wars we also saw the introduction of Bind on Pickup “Volatile SKINs”. It isn’t the one-time-use of these products that are so problematic, it is the binding process: even before the SKIN is applied, it cannot be traded or sold. This means the only way to obtain these SKINs is to engage in the content in highsec. Not only does it block people from accessing these SKINs, something unheard of previously, but it also ruins the potential value of these rewards for those who want to make Resource Wars into a profession. Binding items adds undo impetus onto the behavior it takes to achieve that item. The reason why powerful raid gear in other games is bound is to ensure that players must actually run the raids to obtain it. EVE has for over a decade differentiated itself based on this. This one fact has protected CCP from many of the pitfalls they navigated in the long history of the game and more specifically during the conversion to F2P. However, embracing this mechanic in a wider context erodes the fabric that makes EVE great, far more than loot boxes alone can. The gaming industry is complicated and more powerful than ever. In this age we as a people are re-examining some very key ideas of right and wrong and coming to terms with the impact of our choices and our actions. EVE Online has been a pioneer in these concepts, champions of action and consequence. As we continue to navigate into the future it is important to pay attention to the world around us and learn our lessons pre-emptively. While EA will likely brush off all the undue attention of the last month, CCP would fare worse. 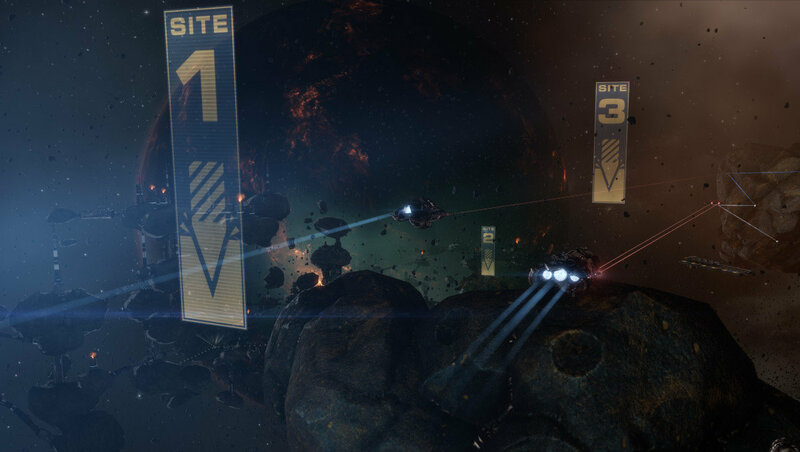 At the same time improvements and changes to both the game and the monetization methods are necessary to ensure EVE remains competitive. These issues are complex and no one has the right answers; that’s kinda the point. However, it is important to all of us to keep the greater context in mind as we navigate these puzzles, as well as any that are to come next year and the years to follow. Did you enjoy this article by the one and only Ashterothi? Please consider supporting CZ.